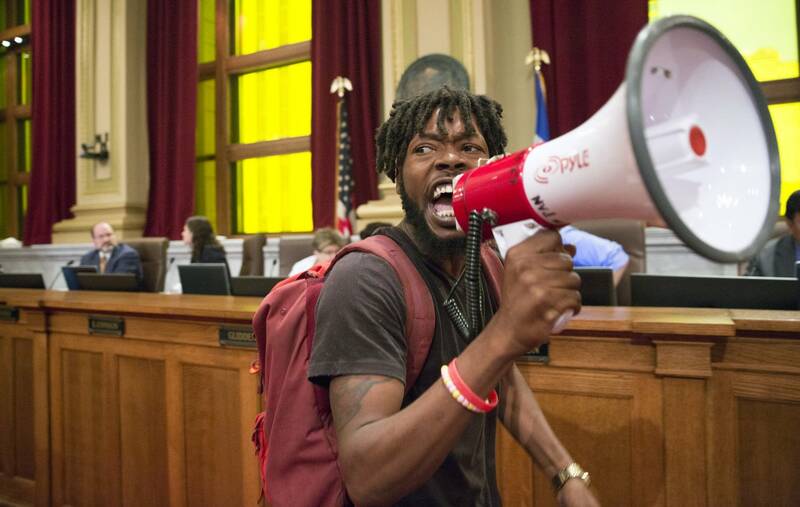 Dozens of demonstrators temporarily shut down a Minneapolis City Council meeting Wednesday after council members voted to reject a proposal to place a charter amendment on the fall ballot raising the minimum wage to $15 an hour. A final vote on the ballot proposal is scheduled for Friday. Council members did pass a directive that takes a more conventional path to raising the minimum wage. However, it doesn't specify what that hourly amount should be. Many of the council members who voted against the proposed charter amendment say they support raising the minimum wage. However, after reading an opinion by City Attorney Susan Segal, council members like vice president Elizabeth Glidden concluded that putting the idea in front of voters this fall is not the right way to get it done. "I will be moving today a motion that this, in accordance with the city attorney's opinion, that this is not a proper subject for the ballot," said Glidden as the council chambers erupted into a chorus of boos and jeers. In Segal's 16-page analysis, she determined that the proposal to raise the minimum wage was more appropriate as an ordinance, not a charter amendment. And she said the city's charter doesn't allow ordinances to be created by public vote. 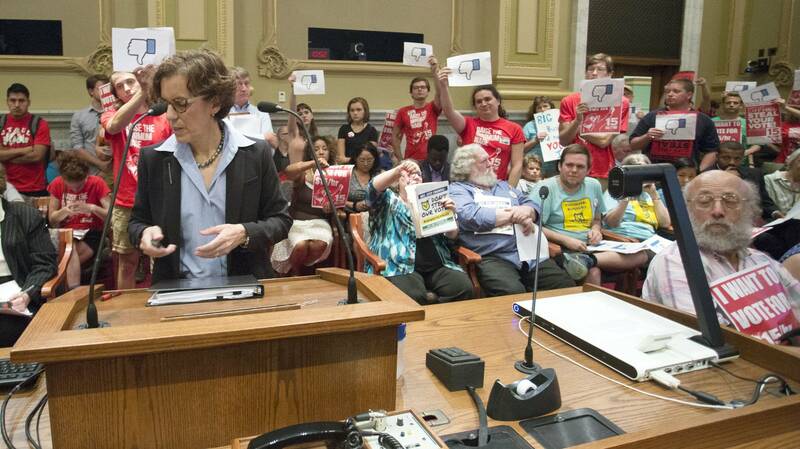 However, Karen Marty, a lawyer in private practice and a former city attorney who has worked in Minnesota and Missouri, told council members there's no state law defining what measures should go into the charter and which should be written as ordinances. "The courts and everyone else have left this up to the voters to choose," said Marty. "State law recognizes that in drafting a charter and amending a charter, a city may well want to incorporate special laws or general laws that they think are important." Providing that the petitioners submitted enough signatures — which they did — the only role of the council was to make sure the language that would appear on the ballot was clear, Marty said. Council member Cam Gordon voted to put the proposal to a public vote. He acknowledged that due to conflicting interpretations of state law put forth by the city attorney and by the advocates, a legal fight was likely to follow any decision the council settled on. "My job right now is to err on the side of fairness and democracy and say 'put it out there,'" said Gordon as demonstrators in the chamber cheered their approval. The cheers turned to jeers after a majority of council members voted to support Glidden's motion finding the minimum wage measure inappropriate for the ballot. Glidden later temporarily adjourned the meeting when she couldn't persuade the protesters to quit chanting "If we don't get it, shut it down!" When they returned about 20 minutes later, council members passed a motion directing city officials to begin the process of exploring a citywide minimum wage hike with a proposed committee schedule that would start in the spring of 2017. That did not satisfy demonstrators who left the chamber chanting "Shame! Shame! Shame!" The proposal favored by the demonstrators would have started the wage hike at $10 an hour starting in Aug. 2017. Subsequent wage increases would be rolled out over several years. 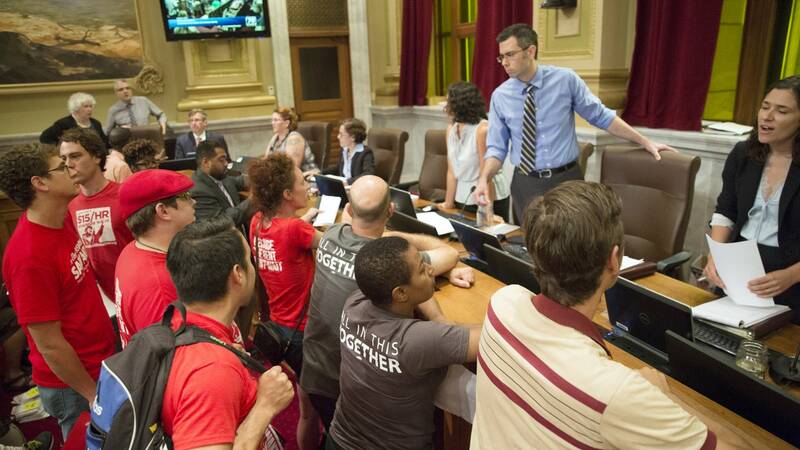 Council member Jacob Frey, who co-authored the motion for city staff to submit policy recommendations next spring, said it's possible the process he supports could ultimately do the same thing that protesters want, except "the right way." Frey said the committee process allows for public hearings and more input from small business owners. The council also voted to reject a ballot measure that compels Minneapolis police to carry professional liability insurance. As with the minimum wage proposal, council members followed the advice of the city attorney, who determined the measure conflicted with existing state law. Supporters of the insurance proposal vow to keep fighting in the courts. A final vote on that ballot proposal is also scheduled for Friday.